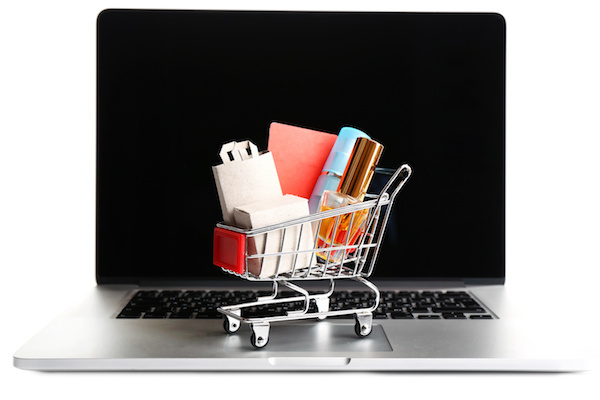 Online retailers have an abundance of platforms available to them for their e-commerce needs. With so many options at their fingertips, entrepreneurs who are either starting up new businesses or revamping existing ones may find it difficult to narrow their selection to just one when considering all the choices available. They all have a plethora of features included, but some shopping cart solutions are more suited than others to your needs in particular. 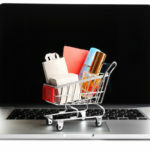 Here’s a comparison of two of the more popular e-commerce platforms, Zen Cart and WooCommerce. Both WooCommerce and Zen Cart are self-hosted solutions, which means that once you download the code, you have the flexibility to customize it according to your online store’s requirements. Since self-hosting implies that you will host the site on your own server, with both options, you will also be responsible for any updates and the security of the data and website. Finances are important, so let’s dive right into it. Zen Cart is free to download, while WooCommerce is free with some reservations. WooCommerce does not charge you up front for its use, but there are extensions to the plugin provided on the WooCommerce website that you will probably find yourself needing to use, and some of them require a small fee (while others remain free). Zen Cart has the edge over every other platform in the business in this department. It is important to note that with self-hosted solutions, although there is usually no monthly fee involved, you need to budget for set-up costs such as web design and development fees, especially if heavy customizations are involved. The scalability of WooCommerce is one of the features that makes it such a popular e-commerce platform. As your store grows, you can add extensions that will adapt to your changing needs without compromising the quality of service. Zen Cart, being open source, is also very easy to scale as your online store changes. WooCommerce comes with over ten free payment gateway extensions and many more paid extensions that vary in cost. With Zen Cart, you also have access to reliable and reputable payment services, such as Square and Paypal, built right into the shopping cart module, which makes accepting payment for your online business a breeze. WooCommerce has the advantage here. Its tools and features are second to none in the industry, though as already mentioned, some of them cost extra. Zen Cart has a multitude of tools as well, although it should be noted that some users find that some of the features need updating. Both WooCommerce and Zen Cart have pros and cons in this department. Very few people use the default Zen Cart template design. Instead, they download one of the hundreds of free templates available online. If you’re willing to do some searching, chances are you can find one that meets your needs. The WooCommerce design is user-friendly and easy to navigate, especially if you’ve used WordPress before. If you haven’t, it may take some getting used to, but it all makes intuitive sense and is easy to learn. What do you think of Zen Cart vs. WooCommerce? Do you have experience with either or both? Let us know in the comments below. I have used both and while I was a huge fan of Zencart (ZC), I find WooCommerce (WC) more attractive now. Plugins: There are almost a plugin for everything. You usually have more than one choice to accomplish the same task and many choices (plugins) are free. If not, chances of at least finding a “light” version that can be used for free are high. Ease: Installing plugins in WP and/or WC is a breeze. Just upload, activate and go to setting, if any. In ZC, plugins are not contained in a dedicated directory. It must be installed taking in account the files hierarchy and if you have customizations in place, you will need to merge them into the new files being installed and the whole process is a little complex for non-experienced users. Not to say when the “plugin” modifies some of the ZC core files. You will face the same complexity if you decide to deactivate a plugin from ZC versus doing it from WP/WC. Looks: There are so many templates and aesthetic customizations for WP and WC… Zencart may have many too, but not to the extent of WP and the most important, the ease of installing a template is noticeable easier with WP/WC. It is even intuitive. I can not say the same about ZC. There are many things that I have been struggling in the past to implement in my ZC store that I found it was an everyday simple thing in the WP/WC side. I remember that one of the contributors that made my life easier on those, was a Russian guy (if he is Russian) named “a_berezin” in the ZC forum and of course, Numinix. I can keep writing as there are many, many things about this. Even when I am clearly in favor of WP/WC, as I mentioned earlier, I am a huge fan of Zencart. I have even used many contributions from Numinix in my Zencart store. It is just that when you are in charge of the website maintenance, hosting, design, updates and in top of that, you are in charge of keeping inventory, answering calls and replying emails and wait, there’s more, if you also offer services in your e-Commerce store and you are the one who do the services (sole proprietorship = orchestra man), then you need a platform that makes it easier for the small time you have left and I found that in WordPress + WooCommerce.